In case you happened to block certain site from being access from you pc/notebook/server or whatever..
let check the ip address of the site..
assumed 192.168.1.222 is some ip in your network that not been used. 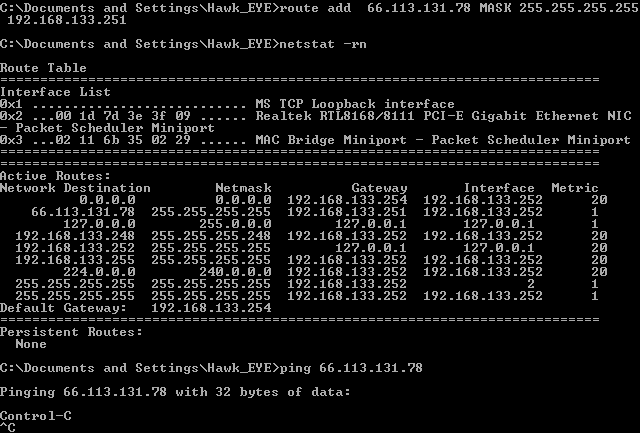 or you can add route add commands to /etc/rc.local. « Post before this: Swallow the pride, turn the head down, kiss the ego, say Goodbye..